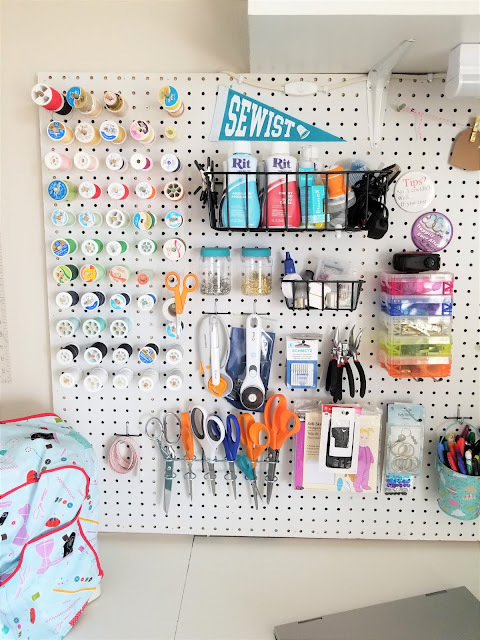 This last week I finally got my sewing room in order. It took me most of the month of January to organize, declutter, build and rearrange my new space, but I am so happy with it. The hardest part for me was moving from an entire room for all my crafting and sewing supplies, to a small corner in my basement. But I knew I could do it. Plus, there is so much inspiration out there for what you can do as well. 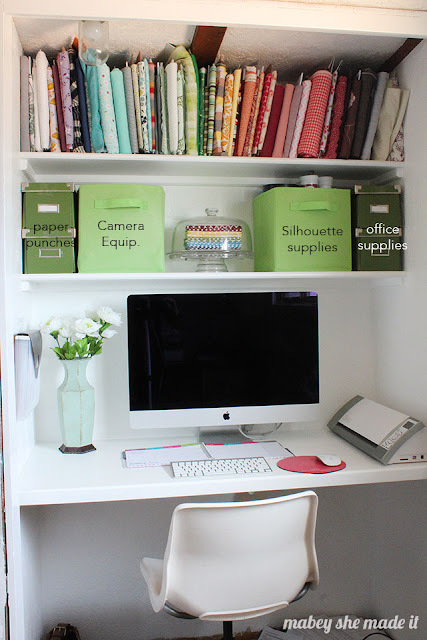 Today I wanted to share with you some great sewing room ideas for small spaces that I've found. 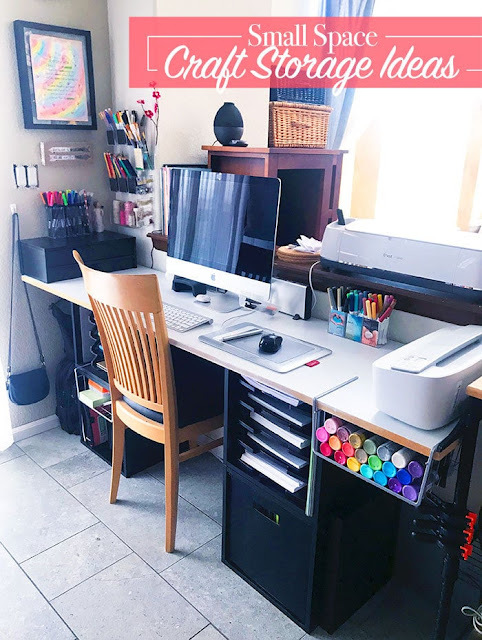 Many of these ideas are from fellow sewing bloggers like myself, but many of them were the jumping off point for my own new sewing space. Each of them is unique and has some great organization idea or clever storage solution. Take a moment to click through to each for even more fun photos and inspiration. Learning to Sew? Sign up for our FREE Sewing Basics 101 course. 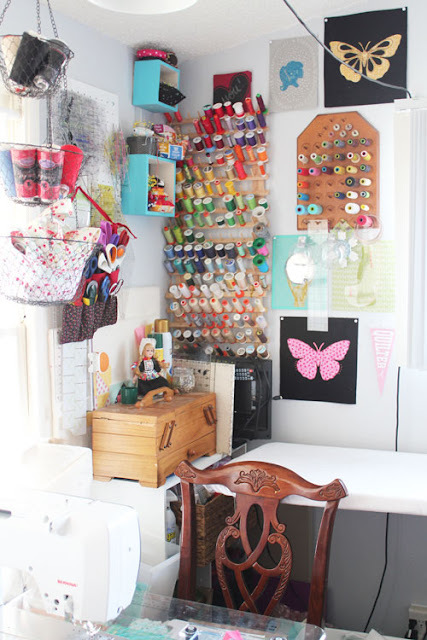 Here is one half of my small sewing corner here at GYCT Designs. I love it so much. Everything is right at my finger tips. 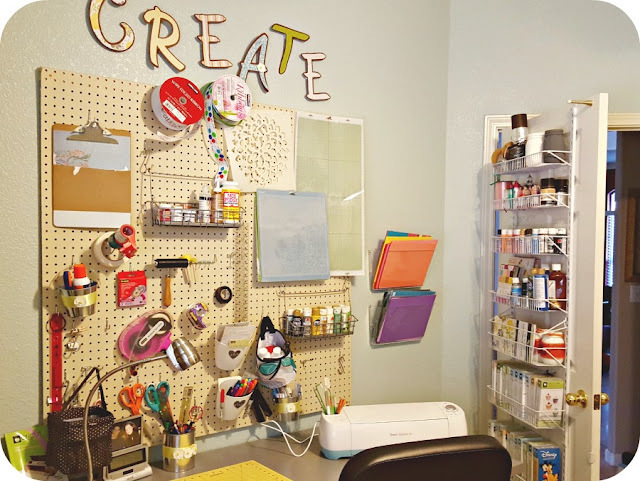 Cutesy Crafts has this simple sewing and crafting corner. Those shelves are perfect for all the fun little storage containers. 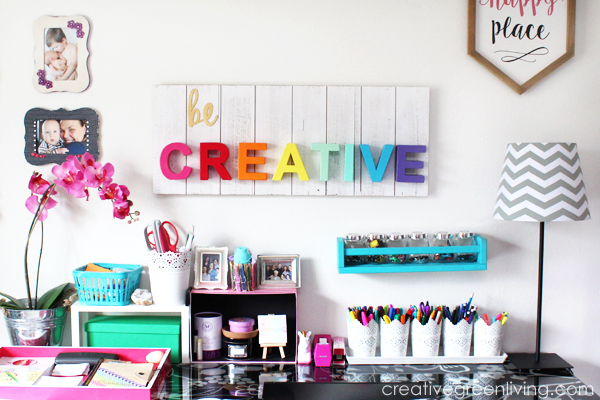 Head over to the Creative Green Living and see her crafting corner. I love that she has all those small tins for containing supplies. 100 Directions has this amazing desk. 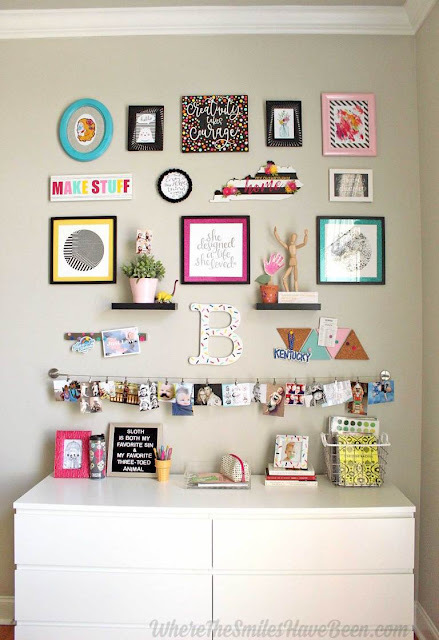 With such a small space she really utilizes all the parts of her desk and area well. 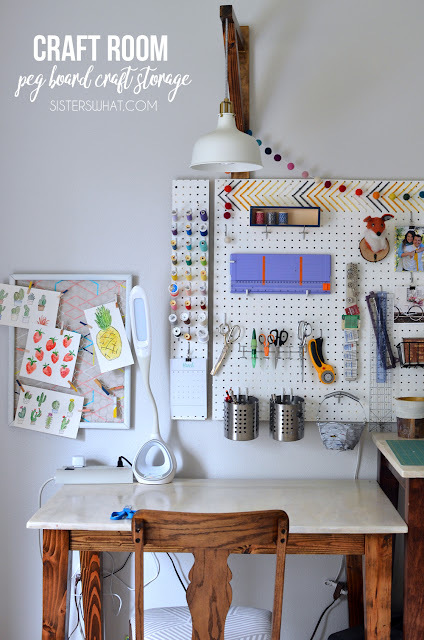 Blue I Style has the best sewing room ideas for small spaces. Do you see how she is storing all her thread?! I seriously love this idea. If you love to quilt, Always Expect Moore has some great quilts you should check out. But also, don't forget her cute little sewing corner. Love it!! 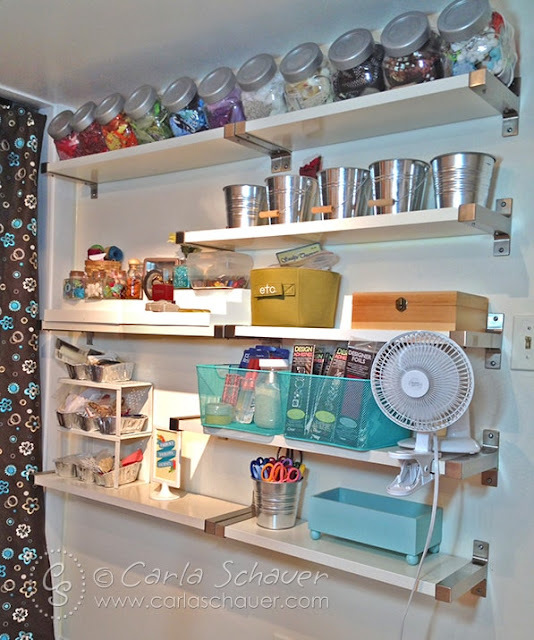 Tired and True has a large crafting space, however, she has some really fun ideas for storing all your supplies. Okay, I will admit, these Ikea drawers from Just a Little Mess are like the rage all over the internet. I think Ikea should be paying her for all the people that went out to buy these for their space. Myself included. They are seriously the perfect sewing room idea for small spaces. I love Life Sew Savory's simple sewing corner. She sews A TON but just has this little corner in her home she uses. Make sure to check out the rest of her area. 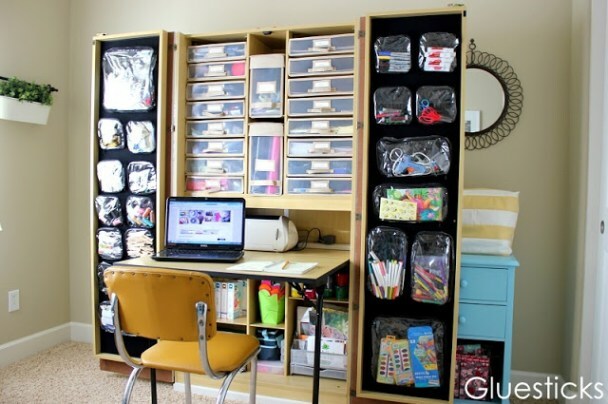 Mabey She Made It has some fun storage ideas for fabric (like on that top shelf!!). Polished Habitat has all her supplies labeled so she knows where she put it. That would be a nice thing wouldn't it! Where the Smiles Have Been really knows how to make here crafting space cozy. 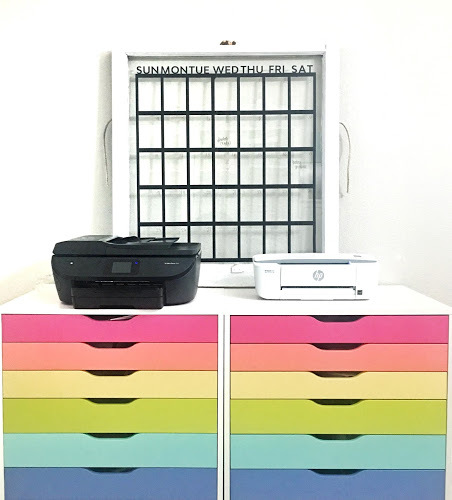 She has this fun gallery that provides inspiration and is just adorable! Sisters, What! 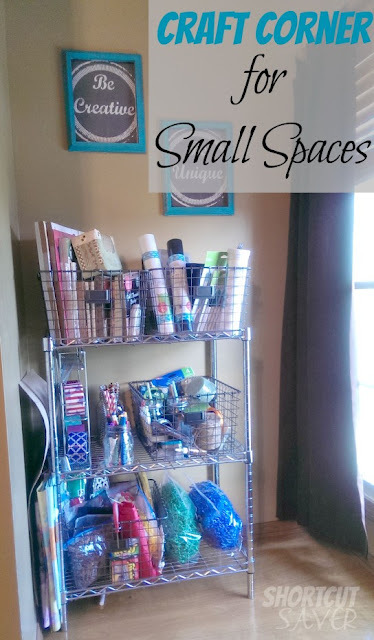 was one of my favorite sewing room ideas for small spaces. You have to go check out all her photos. 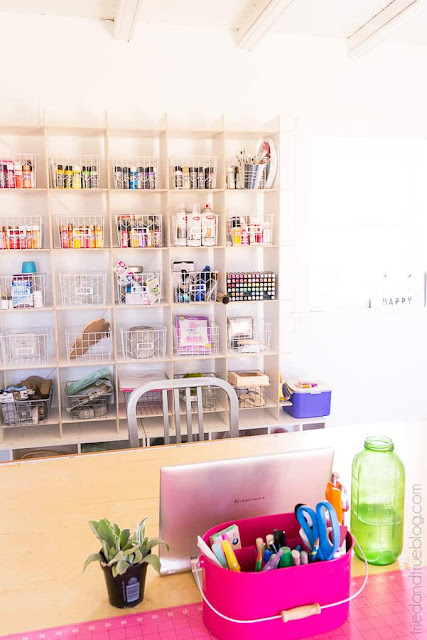 Leap of Faith Crafting uses the back of a door to really store so much goodness! If you only have one wall, Gluesticks has a great solution for your sewing room. 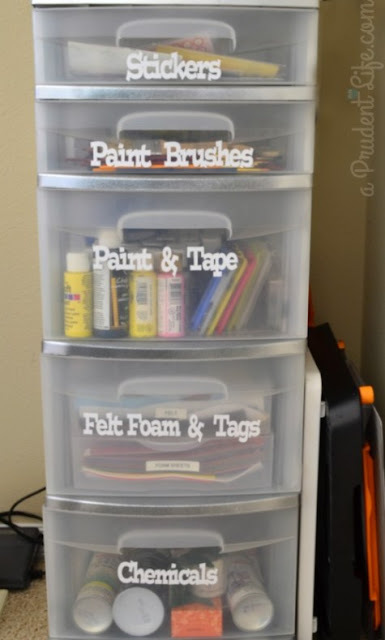 Frog Prince Paperie can give you some great tips on getting that sewing space organized and stay that way. 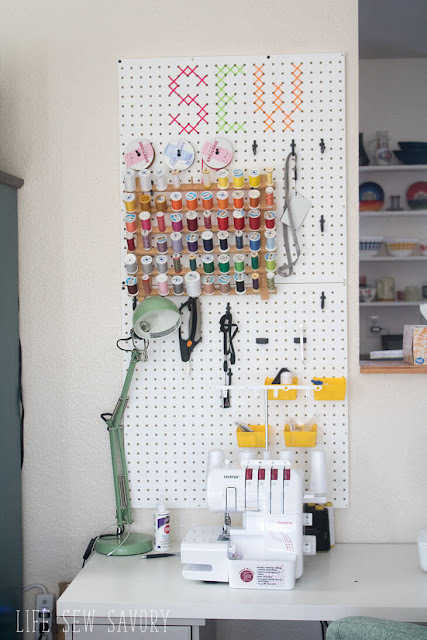 Carla Schauer uses so much of her wall space for storing supplies and it looks pretty! 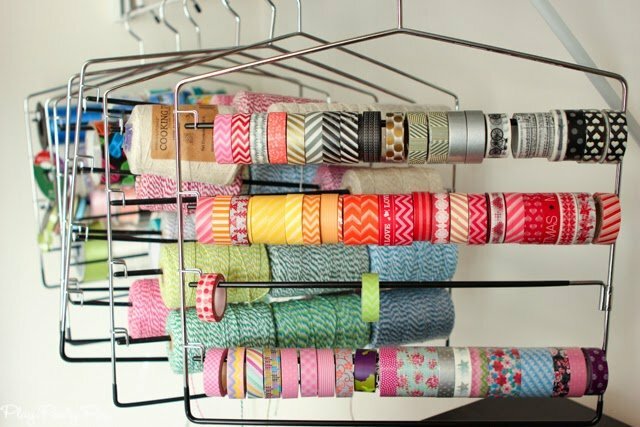 I love this idea from Play Party Plan to store washi tape. 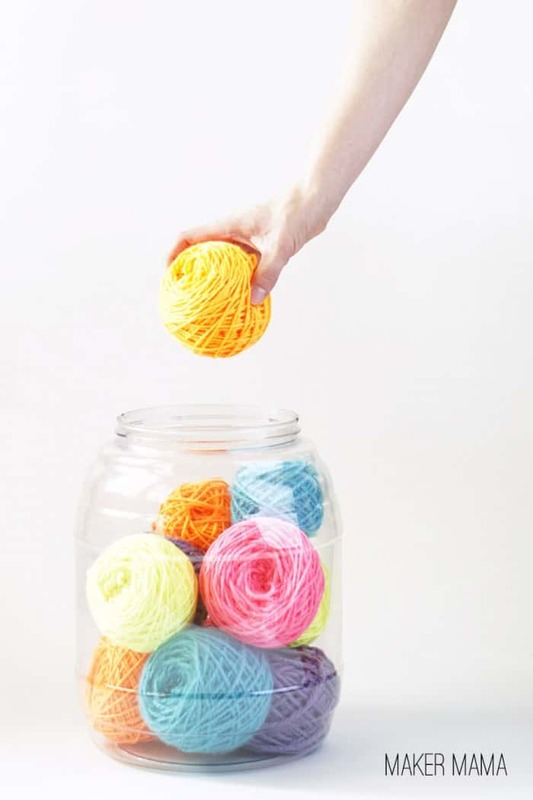 But it would work for storing thread as well. Especially if you have hanging space in a closet or cupboard. Got interfacing? 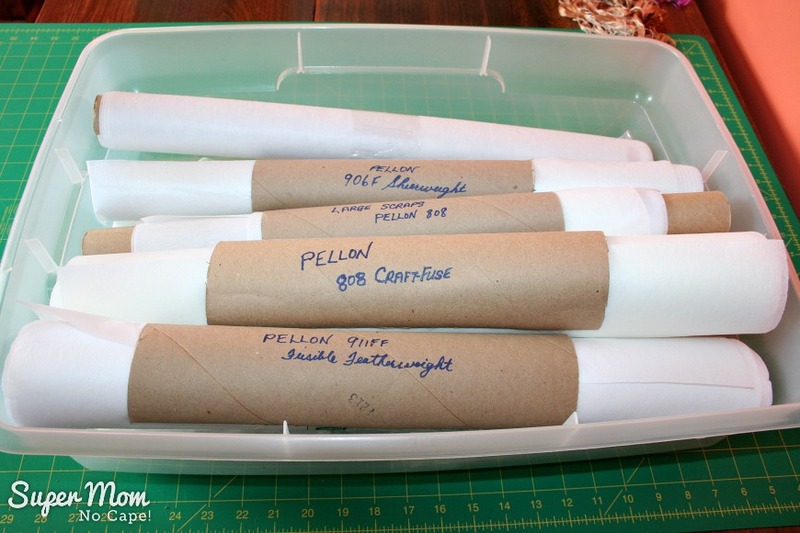 Super Mom No Cape has you covered on how to easily store it. Just have one little corner? 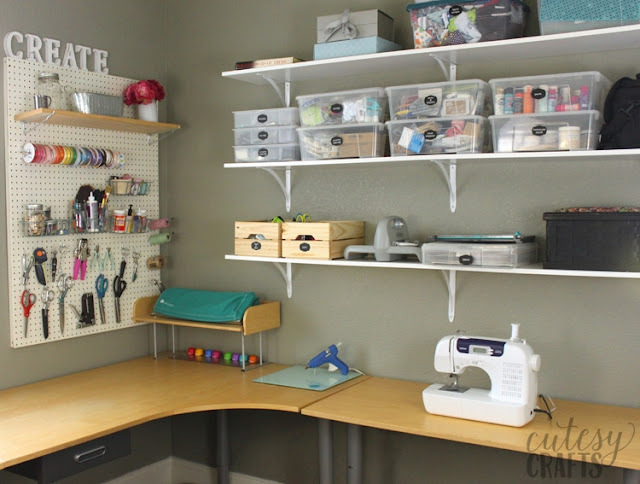 Everyday Shortcuts uses this corner for all her craft storage and it looks great. Finally, if you've got yarn than DIY Candy has a great upcycling storage solution. 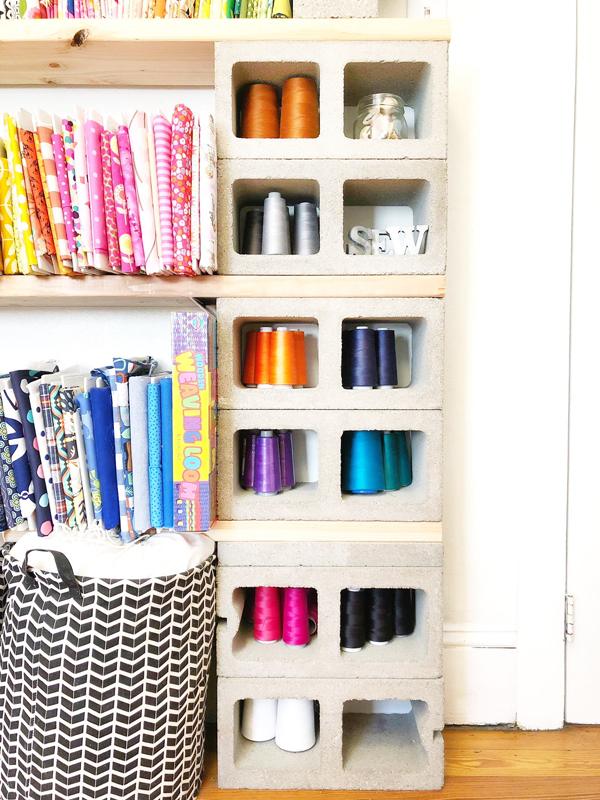 I hope you gained some inspiration, ideas and a little more confidence in your sewing space. I know having a small space can be a challenge. 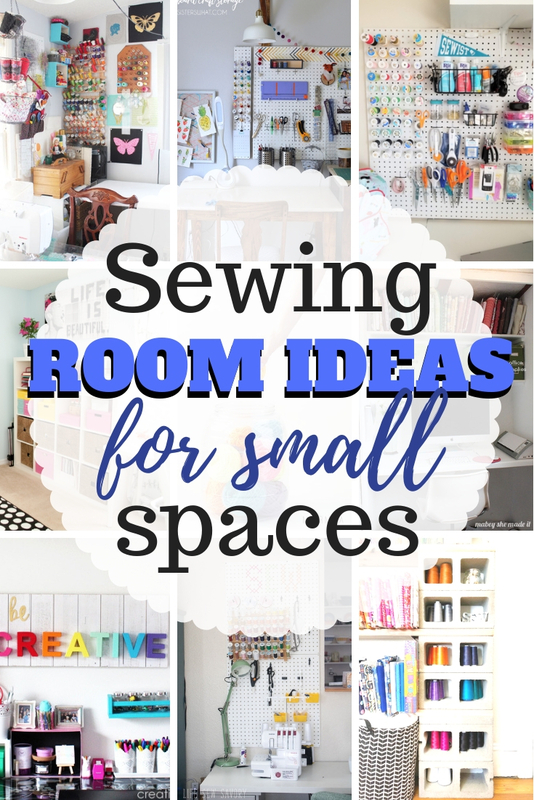 If you are looking for more sewing room ideas for small spaces, check out my Dream Sewing Room Pinterest board. There are SO many great ideas there too.